How to Paint your Shoe: 1.Prepare: Removing top finish of shoe is necessary. 2.Paint Thin Base : High Quality Brushes advised to avoid brush strokes. 3. Let Base layer dry: don't touch' 4.Paint 3-5 thick layers with 15 minute dry time between layers. 5.Let dry for few hours. 6.Apply Acrylic Finisher for added protection. *DIRECTIONS: Apply with a fine paint brush or sponge pad. Allow to dry between coats. Also may use spray gun or a air brush. For best results, make sure acrylic is clean before applying. Clean up equipment with soap and warm water. 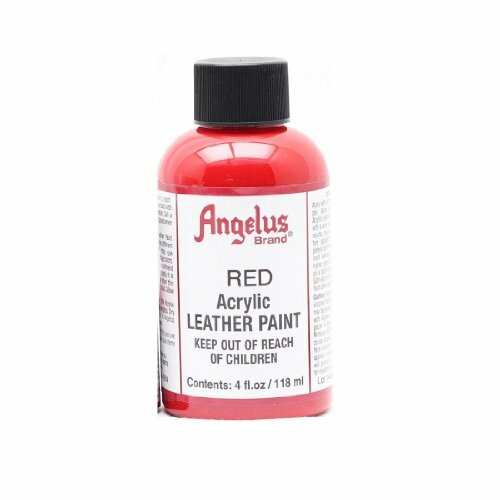 For higher gloss and scuff protection, apply a coat of Angelus Acrylic Finisher. Satin Acrylic Finisher or neutral leather paint after paint is dry.